iid is thrilled to announce that we have won three W3 Awards and two Davey Awards for the Respect Effect, a mobile app to promote healthy relationships among teens. 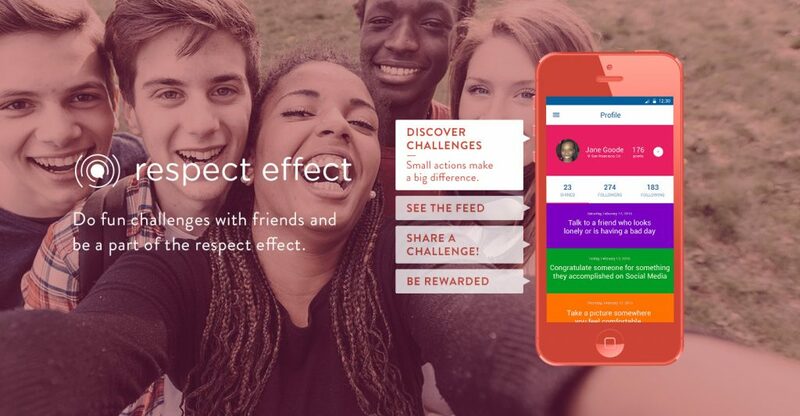 The Respect Effect app aims to reclaim the positive energy of the digital spaces inhabited by teens. By highlighting and amplifying actions that promote healthy, respectful relationships and build teen leadership. The iOS and Android app play a key part in the teen anti-violence campaign Thatsnotcool.com, which was fortunate to win the Webby Award for the best non-profit website in 2016. Both projects were created for our client Futures Without Violence.